‘Lanka not making decisions to make other countries happy’: People will decide what’s best for SL -Secy. External Affairs Min. 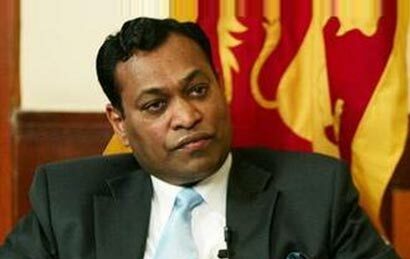 “Sri Lanka is not going to make decisions to make NGOs and other countries happy; what is best for our country and our people will be decided by the people of Sri Lanka” Secretary, Ministry of External Affairs, Karunathilaka Amunugama told Daily News. He said that President Mahinda Rajapaksa has made this clear on many occassions in the past. Referring to criticisms by Western countries, INGOs and the Tamil National Alliance that the LLRC does not adequately address accountability issues, Amunugama said most of these agencies and countries had drafted their statements even before the LLRC report was published. “We know that we can’t make them happy no matter what we do. We can’t help that,” he said. Amunugama agreeing with a statement made by Ravinatha Ariyasinha, Sri Lankan ambassador to the European Parliament recently, said, that those who claim that the LLRC report does not address accountability issues really mean that the report has not come to the conclusions they wish for. There are those who said the government was not interested in demining and that conflict affected areas will remain unused forever. 69 percent of the demining in the North has already been completed. Some said that the IDPs will be incarcerated indefinitely. 95% of the IDPs have already been resettled. They claimed the lives of 11,600 LTTE combatants were in danger. All but 750 have been released including 595 former child soldiers. Ambassador Ariyasinha had told those who doubted Sri Lanka’s sincerity of purpose to look back at their own predictions of doom, he said. Amunugama said that the Sri Lankan delegation led by Plantation Industries and Presdential Special envoy on Human Rights Minister Mahinda Samarasinha is ready to answer questions, address concerns and face challenges that may arise at the United Nations Human Rights Council session scheduled to begin on February 27. He said that the delegation will take an evidence based approach at the Council and are in the process of completing the gathering of relevant material. 1 Response to ‘Lanka not making decisions to make other countries happy’: People will decide what’s best for SL -Secy. External Affairs Min. I applaud the forthright views expressed by Hon K Amunugama, Sec of the Ministry of External Affairs. Let the imperial West beware that SL is not a nation to be walked-over! We have intelligent and skilled sons of Motherlanka who will ably defend her against her detractors.